The Micromax 50C5500FHD 124 cm (49) Full HD LED Television is an advanced smart device that provides a good TV experience. It is not as good as Samsung or Sony displays but it is not very bad either. The 49-inch display provides a resolution of 1920x1080 pixels. Due to the wide angle view (178 degree) everyone in the room can get a good view of the screen. The unit is very sleek adding elegance to your living room. Since the TV is lightweight it can be easily placed anywhere or wall mounted. You can enjoy movies, music shows, TV series, games, and much more with maximum clarity. Since the fame is very slim it enhances the view as if it is a edge to edge display. For connectivity there are 2 HDMI ports and 2 USB ports so that you can connect your laptops and pen drives to view content on the TV. The sound output is also quite decent. The Micromax 50C5500FHD 124 cm (49) Full HD LED Television consumes 120W of power. There are also energy saving modes available on the TV. Overall this is a good product that mixes technology and power saving. 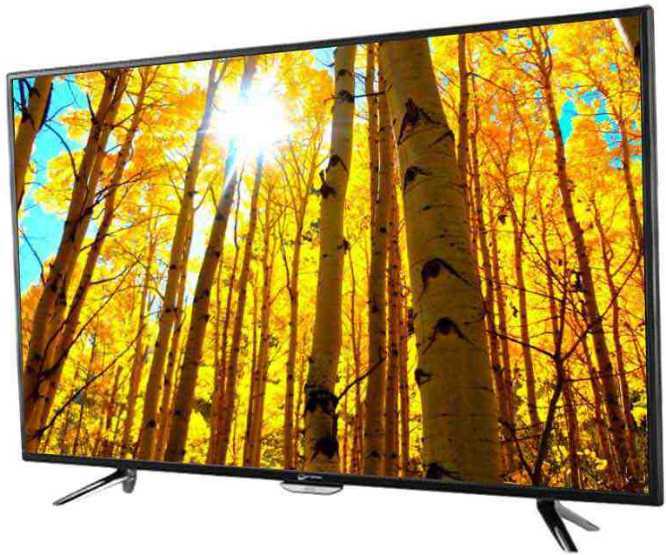 The Micromax 50C5500FHD 124 cm (49) Full HD LED Television is priced at INR 52990. Micromax 50C5500FHD 49 Inch Full HD LED TV full specs and reviews as of Apr 2019. Buy it here!